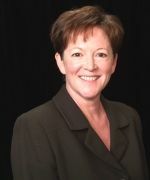 Denni McColm is Chief Information Officer for Citizens Memorial Healthcare. Denni has been at Citizens Memorial since 1988, serving as Director of Human Resources and Director of Finance before moving into the CIO role in June, 2003. ​Denni served on the Certification Commission for Health Information Technology as a Commissioner from 2006-2008. She also served on the Davies Awards of Excellence Organizational Selection Committee from 2006 -2008 and again from 2010-present. Denni is a member of the Board of Directors for MUSE, Medical Users Software and the Missouri Hospital Association HIT Committee. Denni holds a Master of Business Administration degree from the University of Missouri-Columbia.